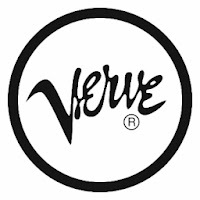 Disclosure: I participated in this event on behalf of Wendy's Bloggers for Verve Music Group. I received the A Mary Christmas CD to facilitate my review.
" 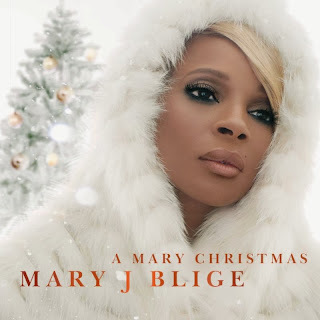 "A Mary Christmas" is Blige’s first Christmas album and her first collaboration with David Foster, the 16-time Grammy Award-winning producer and chairman of Verve Music Group. It features Blige’s soulful interpretation of classic holiday tunes including “Have Yourself A Merry Little Christmas” and “The Christmas Song.” She is joined by a roster of A-list guests starting with Barbra Streisand, who duets with Blige on “When You Wish Upon A Star,” along with Jessie J on “Do You Hear What I Hear.” The Clark Sisters join Blige on “The First Noel” and “Noche de Paz,” is a Spanish collaboration with Marc Anthony." When my husband asked me a few weeks ago what I wanted for Christmas, I told him I was all set, as I got the best gift besides good health and love of family and friends. What was the "best gift ever" you ask? None other than a personally autographed copy of Mary J. Blige's first ever Christmas album, "A Mary Christmas," along with an oversize tote (not available for purchase) and a limited-edition "A Mary Christmas" Zine Pack - which is the CD and a 64-page booklet, compliments of Mary J. 's record label, Verve Music Group. While Mary J. Blige started her music career way back in 1989 as a backup singer on Uptown Records, she has released chart-topping albums -- 10 in total, since 1992. And, when she is not performing musically, she has also rapped and dabbled in the acting business and appeared on television sitcoms, in movies, and even starred in the Off-Broadway play, "The Exonerated," in 2004, that I was lucky enough to see. What hasn't Mary done? I am always in awe of strong, powerful women like Mary, and can't help but follow their careers and support them. And, even though I didn't go through the same struggles she has through the years, her songs did bring me comfort and strength when I battled stage 2 cancer back in 2008. I would listen to her song, "Just Fine," while receiving chemo and radiation treatment. It gave me the courage to fight harder and pull through those tough days just so I could say to people, "Just fine," when they asked how I was doing. I was living in the present and thanking God for being by my side to help me through it, through his words, and music like Mary's. They are right when they say that music is therapy, as it helps on so many levels...from dealing with breakups, mourning the loss of a loved one, to fighting tough battles like cancer. Music heals and makes almost every situation easier, so that you can rise above, overcome, and come out on top. I am now 5 years out of cancer treatment in remission, and will be enjoying this and future holidays I will be blessed to enjoy with family and friends, as they are truly gifts from God, just like Mary J. Blige and her music. The Christmas album contains 12 tracks will surely get both Mary J. Blige fans and those who love Christmas music into the holiday spirit. 9. Do You Hear What I Hear – Duet with Jessie J. In addition to treating us to her sultry voice and showing us how talented she is by singing different genres, Mary also collaborates with Barbra Streisand, The Clark Sisters, Marc Anthony and Jessie J. I was not familiar with Jessie J., but am now a fan after hearing her sing with Mary on the song, "Do You Hear What I Hear." This is the first Christmas CD that I love all the tracks on the album. And, even though I have heard all the songs sung by Mary, she makes these holiday classics her own and memorable. Since receiving "A Mary Christmas," I have listened to it countless times by myself, with my family in the car during car rides, and just last night with my parents, who came to help us put up our Christmas tree. 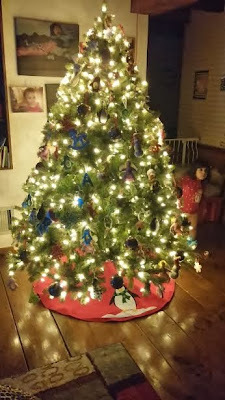 Since welcoming the girls, we have started a tradition where the Christmas tree goes up the weekend before Thanksgiving, so that when family and friends come for Thanksgiving dinner, we can enjoy the backdrop of the twinkling lights and beautifully decorated Christmas tree, to get everyone in the holiday spirit. I didn't tell my parents who was singing, but after "Little Drummer Boy" started, my mom asked if this was Mary J. Blige. I smiled and said, "Yes. She has finally given us a holiday album we can enjoy year after year." As we decorated the tree with the girls, we listened to all 12 tracks. And, by the time the last track played, which is the duet with Marc Anthony, we couldn't help but clap, and say in unison, "This was amazing!." Since then, we have had the CD playing on rotation in our house, and can't help but sing along. If you love Mary J. Blige as much as I do, or simply love great Christmas music, you will want to pick up "A Mary Christmas" to listen to this holiday season. From decorating the Christmas to, to sitting down to have dinner with family or friends, this CD will fill your hearts and home with music that will get anyone into the holiday spirit and have everyone saying, "Play it again!." We took the girls to see the Christmas lights around town this evening and couldn't help but bring this CD along to make the time together more memorable. I couldn't help but smile when I heard the girls singing along from the backseat. Follow Mary J. Blige on Twitter, as well as her record label, Verve Records, to stay up-to-date on all things Mary J., including upcoming performances, like her recent HSN appearance. Don't want to wait to see if you win my giveaway to start listening to this glorious Christmas album...I don't blame you. Then, head on over to Mary J. Blige's official website to learn more about "A Mary Christmas" and to purchase a copy today. Like I said, this would make for the perfect gift for both Mary J. Blige fans, as well as those who love listening to Christmas music. In addition the "A Mary Christmas" CD, you can also purchase the "A Mary Christmas" Zine Pack at your nearest Walmart, as well as online at http://www.walmart.com/ip/29472156. The "A Mary Christmas" Zine Pack is selling for only $15.88, a steal for what you get -- which is the CD and a 64-page booklet. 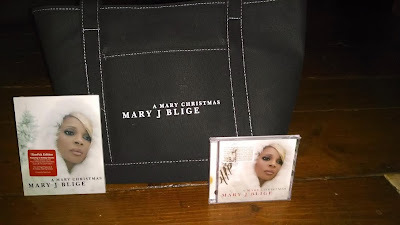 I want to first personally thank Mary J. Blige for sending along an autographed copy of her first Christmas album for me to listen to and enjoy and family. And, if that wasn't enough, she has graciously signed another copy of her hit "A Mary Christmas" CD for one lucky reader to win. What a great holiday gift, huh? This would make for the perfect gift for any Mary J. Blige fan, to find under the Christmas tree on Christmas morning.